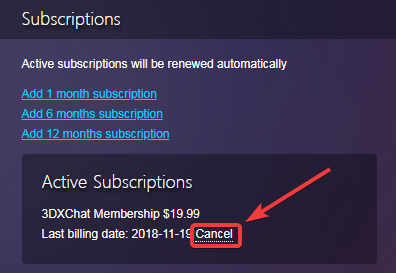 If you cancel your subscription you cancel the auto renewing only, but you still will be able to play the game until your gameplay time expires. 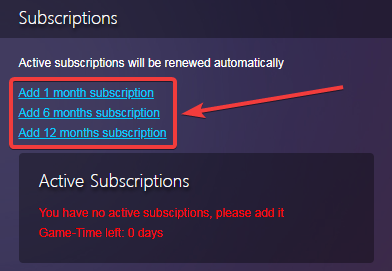 Your active subscription is recurring and will be renewed automatically. 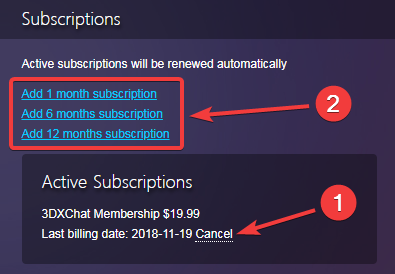 But if you canceled all subscriptions, you have no active subscriptions and your membership is expired then you should renew your account. 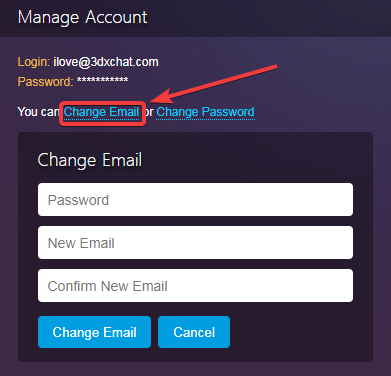 How to buy an account for my friend? PayPal does not permit the sale of adult digital goods. The European Union passed a law requiring non-EU companies to collect VAT on sales made to customers living in the European Union effective July 1, 2003. 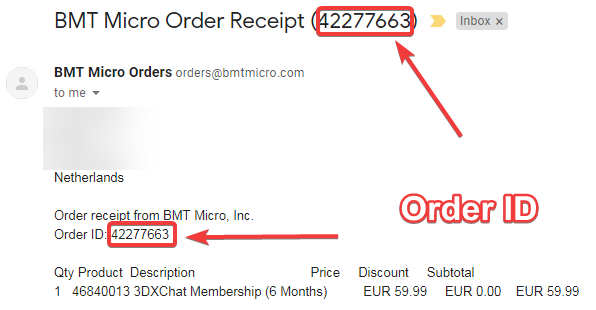 BMT Micro (billing service) is registered with Her Majesty's Revenue and Customs in the United Kingdom for the purpose of collecting and paying VAT tax as is required by EU law. VAT is charged to any customer with an address in the European Union. This charge is standard, and is legally required to be added onto your purchase price by the EU VAT Commission. The shopping cart automatically refreshes to show the VAT charged as soon as the country (Netherlands) is selected from the Country drop-down box, prior to order submission. 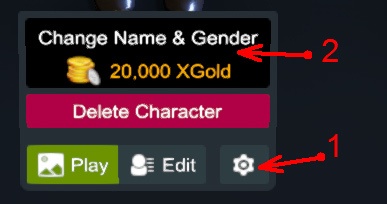 How do I change my character's name or gender? 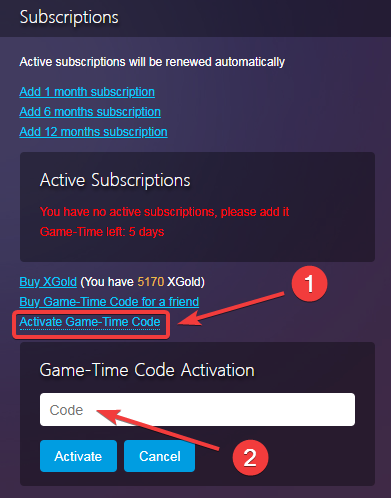 How to activate Game-Time Code? 3DXChat is designed to run on Windows PC only, but a lot of users are playing on Mac. 2) Make sure that your video card supports Pixel Shader 3.0 (ps_3_0) or above. http://webglreport.com/ (see item "Unmasked Renderer"). If you have any older versions you should update them. 6) Make sure you restart your computer after installing new drivers before you play the game again, to apply the new settings. 7) Run the game (and patcher) as administrator but first add the game (and patcher) to the exception list of your firewall AND antivirus. If the problem persists then contact the Support Team. 1) Run the game (and the patcher) as administrator but first add the game (and the patcher) to the exception list of your firewall and antivirus. 2) Try to turn off your firewall and antivirus software. Because it can affect your connection to your system and block the game from connecting to the web. 3) Make sure that your ISP (Internet Service Provider), router and firewall don't block any of the following ports: 3000, 8124, 81 (TCP protocol). Set up your game to use the EU Proxy connection instead of the US Direct connection with the drop-down menu at the login screen. I have a problem with the Patcher. I can't update my game. 1) DO NOT use modded DLL from third parties. It's not safe and damages the process of patching. 2) Add the patcher to the exception list of your Firewall and Antivirus software. 1) Completely uninstall the game. 2) Remove the 3DXChat game folder. 3) Clear your registry. See how to do it here. Copyright © 2012-2019 SexGameDevil. All rights reserved.